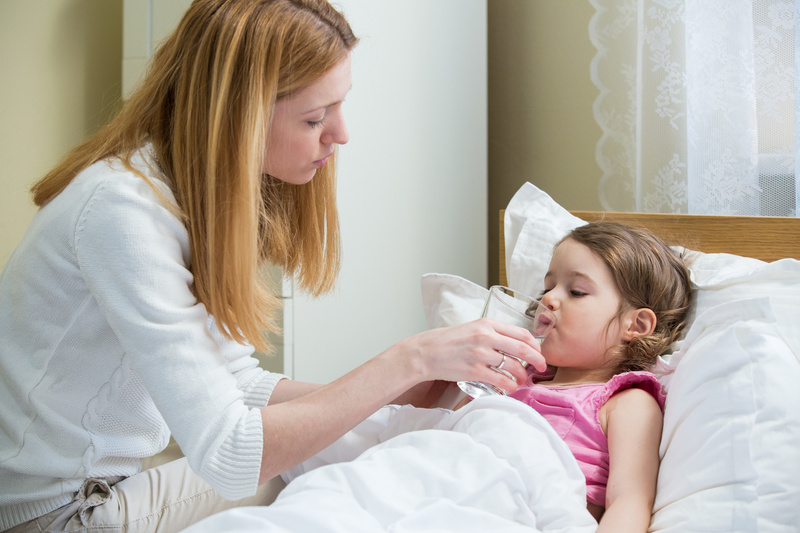 Is Melatonin Safe For Your Kids? Back when I was a kid, there was an ad that ran pretty frequently on daytime television for a book called, “The Doctors Book of Home Remedies,” and even as a child, I have to admit, I was fascinated. Try rubbing aspiring on a bee sting! Quiet a colicky baby by running the vacuum cleaner! Swallow a teaspoon of sugar to cure your hiccups! I’m not sure what it is that I found so fascinating about curing ailments with common objects they had lying around the house, but obviously I wasn’t the only one. The book has sold something like 16 million copies and is still available on Amazon today. One of the big selling points of cures like these is that they’re “natural.” We’re not taking some lab- designed chemical to solve the problem. We’re using something that’s readily available in nature. You know. Like aspirin. I should stipulate here that I’m not anti- homeopathy, nor am I anti-pharmaceutical. I feel that health decisions are something that should be carefully considered by the individual with the advice of their doctor. If probiotics will improve your gut health, I say go for it. If you need serious medication to lower your cholesterol, then you should probably take that too. But anything your going to put in your body, and every bit as importantly, your child’s body, shouldbe evaluated for its efficacy and possible sideeffects, which is why I think we should have a quick talk about melatonin. Melatonin has been touted by a lot of homeopathic experts as a safe, natural way of helping people get to sleep, and in a lot of ways, that actually very true, but there’s a whole lot more to understand about it before you take it yourself or give it to your child. complicated process and involves more biology that I can possibly hope to understand, much less explain. So in the simplest terms, melatonin is your brain’s way of drawing the curtains for the night. Cortisol is its counterpart, which opens them back up, and the two together make up a large part of what we call our “body clock,” but more on that later. How does our body know when to start producing melatonin? Quite naturally, actually. When it starts to get dark, the body recognizes the onset of night, and gets the melatonin pumps up and running. That worked like a charm for a couple of hundred thousand years, until we invented the light bulb. And the television. And the smart phone. And the laptop. Nowadays our eyes are flooded with so much artificial light that it can be difficult for ourbrains to determine when night is actually coming on, and it can interfere with melatonin production. That can mess up our body clocks and contribute to insomnia. their screens a couple of hours before bed, turn down the house lights, and come up with a bedtime routine. Let your body know that it’s time to sleep, and it’ll do almost all of the leg work for you. Side note: This is not the case for insomniacs. People with psychological or physical conditions thatinhibit their sleep should definitely consult with their physicians. Now, when it comes to kids, all of this information still applies. Newborns are something of an exception, as they don’t start producing melatonin and cortisol until they’re about 2 months old.Until then, they’re kind of flying by the seat of their pants, sleep-wise, as I’m sure you probablyalready know if you have any of your own. But past the 2 month mark, they start to establish a 24- hour light-dark sleep cycle, which is the standard sleep cycle that we follow throughout our lives. I do think being fully informed is important, of course. Melatonin is a hormone and can have seriousside effects. There have also been studies that showed early sexual development in animal subjects given melatonin, but the link in human children hasn’t been established. Again, I am not in any way against homeopathic or naturopathic medicine. Even in cases where the effects are psychological, and for some people, melatonin does indeed get them to sleep quicker and help them sleep through the night. If it’s just a placebo effect for some of them, no biggie. They’re getting the sleep they need and that’s vitally important in its own right. But when it comes to young kids, I feel that it’s essential for us as parents to teach them the skills they need to fall asleep and stay asleep on their own. And here’s the good news. Kids and sleep go together like biscuits and gravy. They need a LOT of sleep, and for a short period on their lives, everything in their bodies is tuned to help ensure they get it. All they need from us is a little guidance and a determination to step out of the way sometimes so they can develop the ability to get to sleep and stay asleep on their own. but giving them any kind of sleep aid is definitely not the answer, whether it’s melatonin or Benadryl. Just like learning any other skill, it takes practice and time. There’s no supplement that can teach you how to play an instrument, teach you long division, or sharpen your golf game. Sleep is, in essence, exactly the same thing. It’s a skill that needs to be developed, and once it is, it comes easily and naturally, so before you reach for the pills, try establishing a predictable, consistent bedtime routine, shutting down the TVs and tablets a couple of hours before bed, and encouraging your child to fall asleep without feeding, rocking, or other forms of outside help. I promise you, the results will be better than anything you’ll get from a pill, and they’ll last them a lifetime. As a mother of three children, one who had sleep issues, I understand the emotional strain and stress that a child not sleeping through the night can have on on a family. I recently discovered the need for children to sleep through the night in order to be well adjusted individuals. My sleep philosophy stems from research and training that I will incorporate while helping you teach your child good sleep hygiene. I offer my families a peace of mind, relief that sleepless nights will soon turn into bountiful sleep for everyone in the family! I develop customized sleep plans while getting to know you and your child’s personality and developmental milestones. I am with you every step of the way as you give your child the gift of sleep. As a Certified Sleep Sense™ Consultant, I’ve undergone a comprehensive training and mentoring program which has given me the very best tools and knowledge available to help you get your little one sleeping through the night! Please Don’t Throw Out Your White Noise Machines! Can You Breast Feed and Sleep Train?